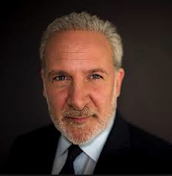 Peter Schiff On The Markets: U.S. Economy: An Official Recession For The First Half of 2015? U.S. Economy: An Official Recession For The First Half of 2015? What is more likely to happen is that we get a negative number again for Q2. We can have the second quarter GDP actually contract. And if we get a contraction in the second quarter which follows a contraction in the first quarter, that is an official recession. That would mean the U.S. Economy is in recession for the first half of 2015. If that is the case and that may very well be the case, how is the Federal Reserve going to raise interest rates?